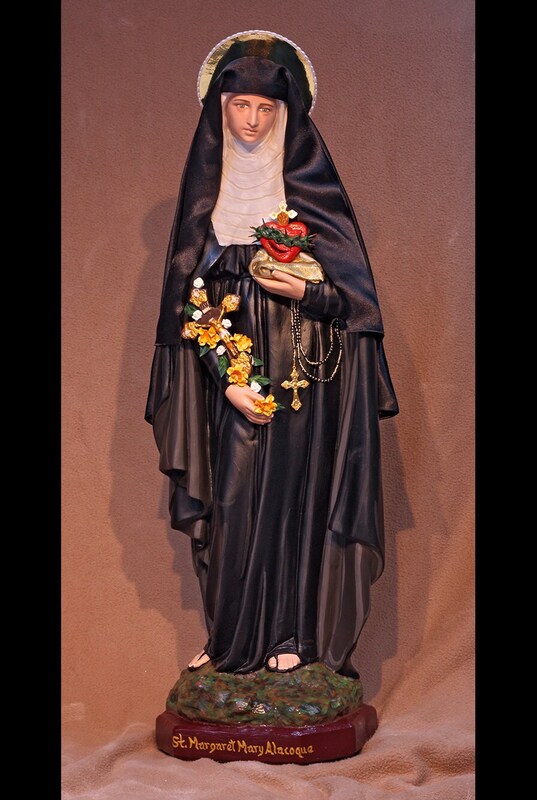 This blissful 26” inch tall statue features a serene hand painted face and details such as fingernails and eyelashes, tiny rosary beads at waist and golden halo. 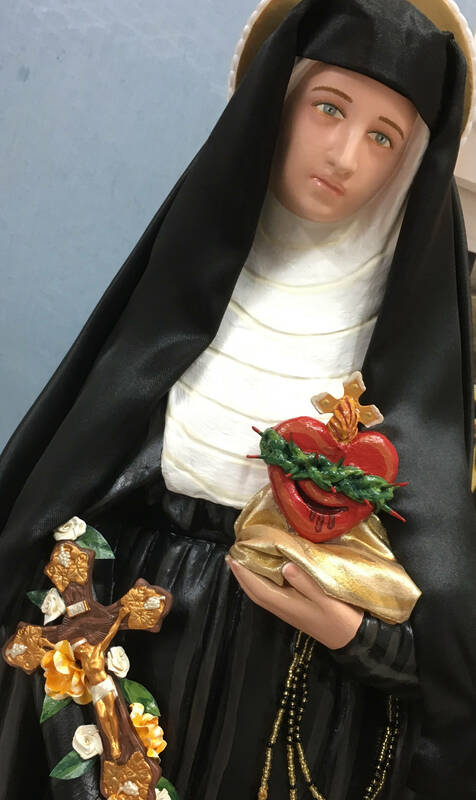 Margaret Mary holds a crucifix with roses in one arm and elevates a golden pillow with the Sacred Heart of Jesus surrounded with thorns in the other. 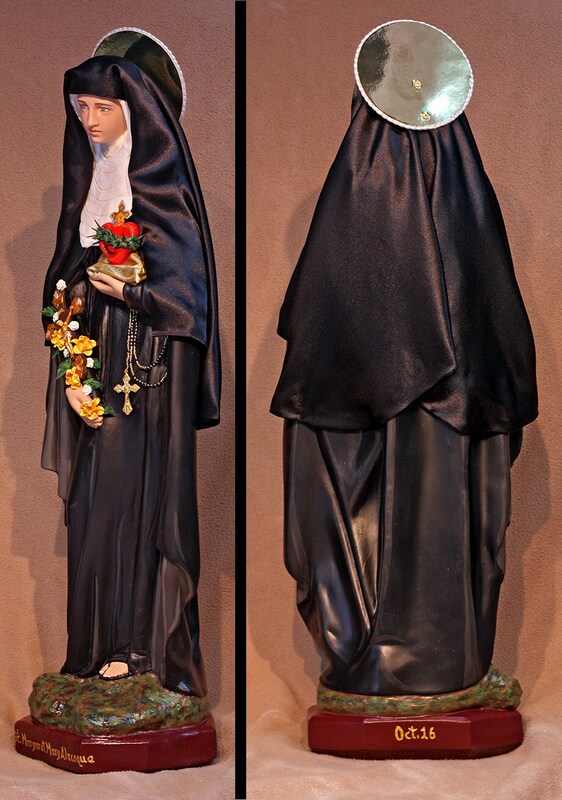 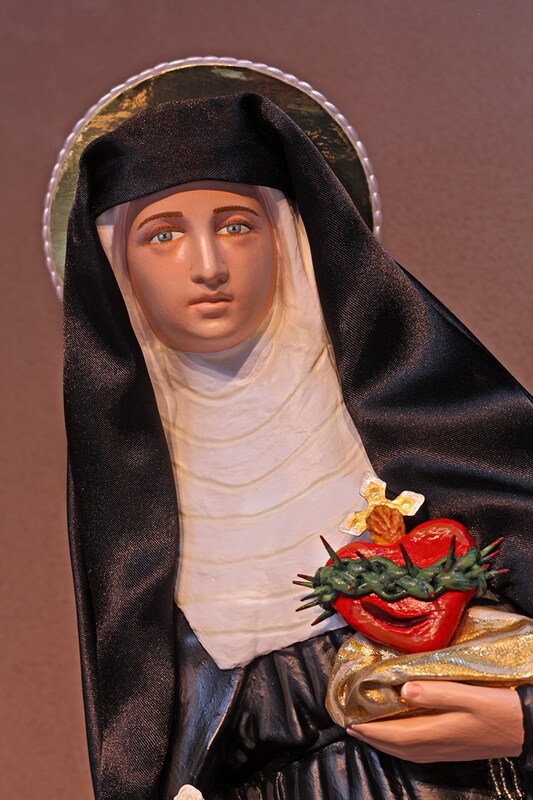 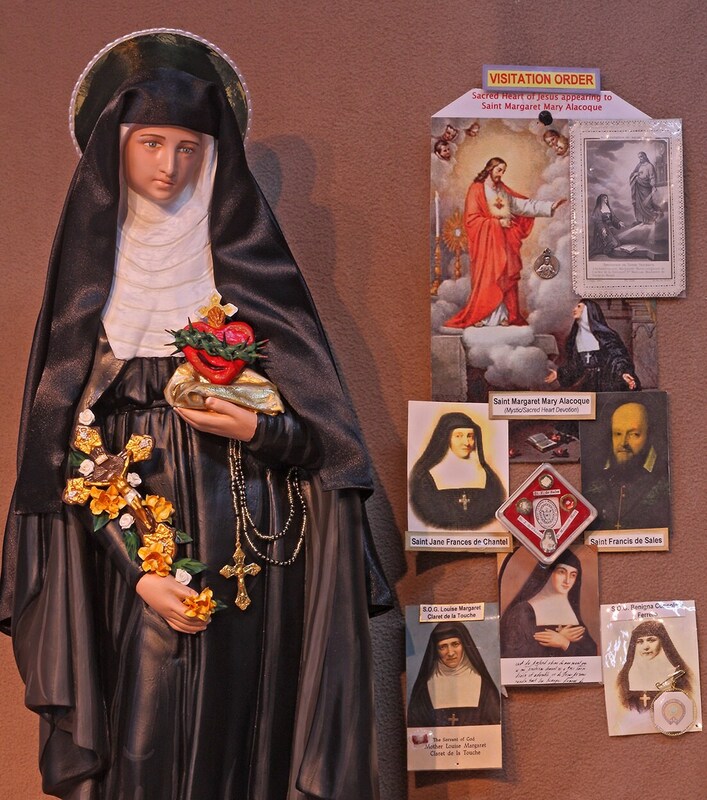 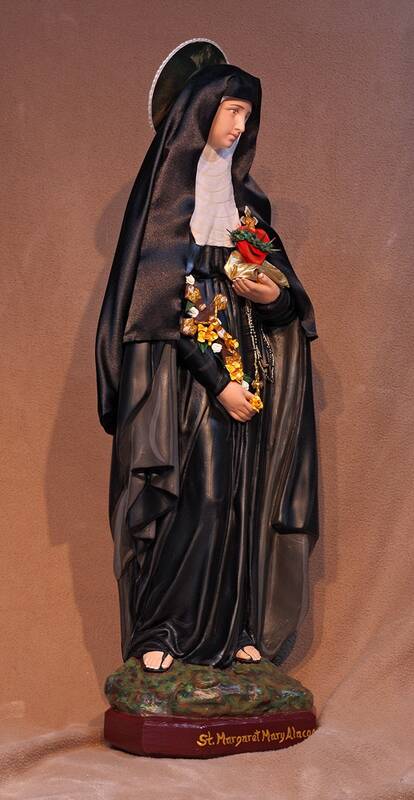 This statue will be touched to a 2nd class relic of St. Margaret Mary.